Is There A Way to Bypass iCloud Activation Lock? Part 1: What is iCloud Activation Lock? Part 2: Is There A Way to Bypass iCloud Activation Lock? The iCloud Activation Lock is a feature of “Find My iPhone” that’s in every Apple mobile device (iPhone, iPad, iPod, and Apple Watch). It is designed to prevent anyone else from using your device if it’s ever stolen or lost, and the iCloud (Find My iPhone) activation lock is enabled automatically when you turn on Find My iPhone on the device. The Find My iPhone activation lock helps to deter anyone from reactivating your device, and it increases your chances of recovering the device. Activation Lock works by storing your Apple ID securely on Apple’s activation servers and links it to your device. From then henceforth, your Apple ID password or device passcode is required before anyone can turn off Find My iPhone, erase your device, reactivate, or use your device. However, is there a way to bypass iCloud activation lock? Yes, there are reliable ways one can bypass iCloud activation lock on an iPhone, iPad or iPod touch. However, most of the solutions you see online are scams and fraudulent, and if you’re not careful, they may end up destroying the device or using your information for fraudulent activities. Two reliable methods of bypassing activation lock on iPhone, iPad or iPod touch will be discussed in this section. The iCloud DNS bypass is an answer for “Is there a way to bypass iCloud activation lock?” by changing the activation path. It does this by changing the request path from Apple server to an iCloud DNS server, which would, in turn, allow your iPhone to be activated. Step 2. Click Wi-Fi Settings, and you’ll see ‘i’ letter beside the Wi-Fi network, press your iPhone Home button, then select ‘More Wi-Fi Settings’. Step 4. Tap “Save > Back > Join this Network” tabs and choose your network. Enter the network password and click “Join”. Step 5. Now, your device will try to activate, just click the ‘Back’ tab. Disadvantages: This method doesn't work for most iOS devices, especially for those new models. 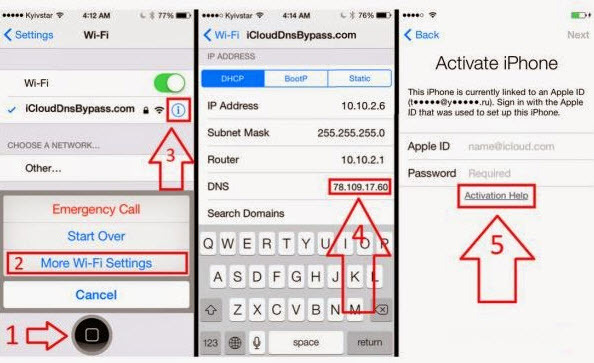 iPhone IMEI is another way to bypass iCloud activation lock and remove the iCloud account from the iOS device. This online service takes about 3 to 6 days interval to complete, but there is no guarantee that it would unlock your iPhone. If your iPhone is activated: you can dial *#06# to get your iPhone IMEI number, or go to Settings > General > About > and scroll down to get your iPhone IMEI number. Step 4. After making your payment, you’ll receive a confirmation email, and it will take 3 to 6 working days for your iPhone to be unlocked. Disadvantages: Using online service is not recommended because lots of users complained that iPhoneIMEI.net is a great swindler. There are lots of bad reviews about it online. According to some reviews, iPhoneIMEI.net refused to issue the refund even when the its service doesn't work. You can check reviews about iPhoneIMEI.net here. 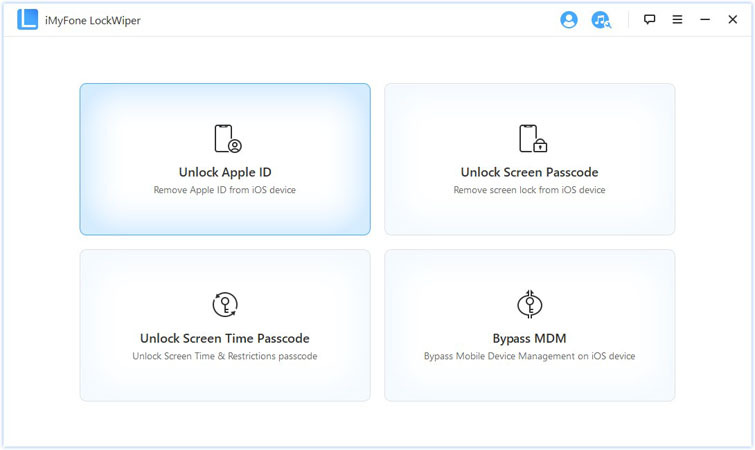 The iMyFone LockWiper is the software solution that can remove the iCloud account from an activated iPhone, iPad or iPod touch. LockWiper is an authentic iCloud unlocking tool that removes every iPhone lock just in few minutes, at a cheaper rate, and allows you to set up a new iCloud account on the device. 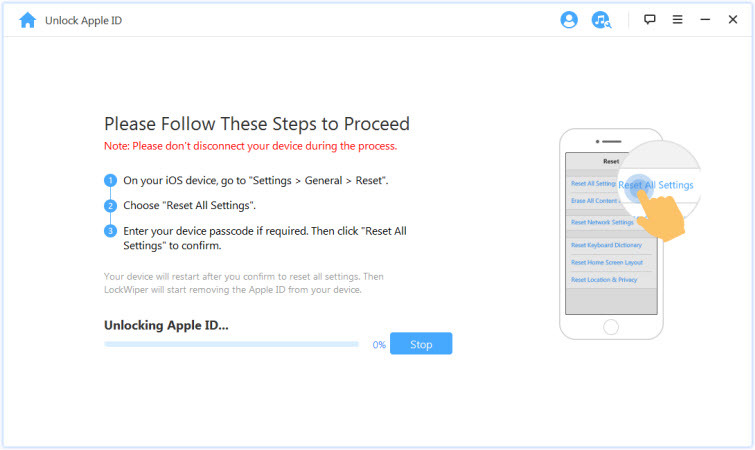 Remove iCloud account from an activated iPhone/iPad/iPod touch without password. Be able to set up a new iCloud account after previous iCloud being removed. You can enjoy all iOS features and iCloud service after removal. 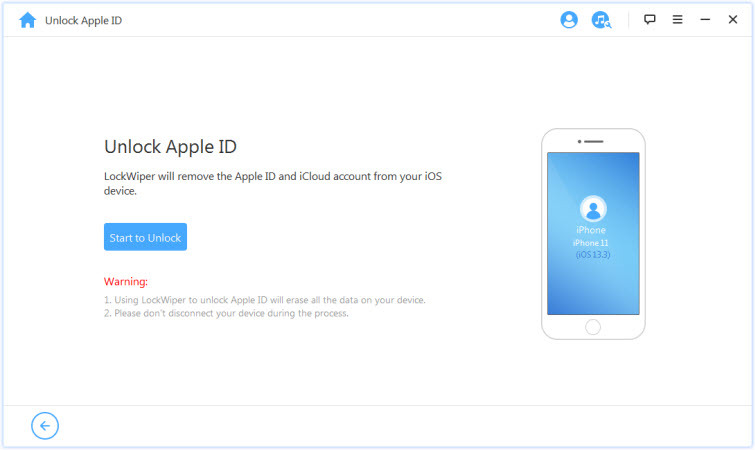 Your device won't be linked, blocked or erased by the previous iCloud account. A complete self-service program that requires no skills to operate. Step 2. Select "Unlock Apple ID" mode from the Home interface to remove the iCloud account that’s presently associated to the device. Step 3. Now, click the "Start to Unlock" button to unlock your iPhone. If find my iPhone is enabled, you will need to reset all settings on your iOS device: go to “Settings > General > Reset All Settings”. We have all seen that it’s possible to bypass iCloud activation lock, and iMyFone LockWiper is the ultimate solution to removing the iCloud account from iPhone or iPad. Therefore, you should get a copy of iMyFone LockWiper to unlock your device now.